Pronounced either lot-key or lot-kuh, the origin of the word is Yiddish and means something along the lines of "little oily thing." 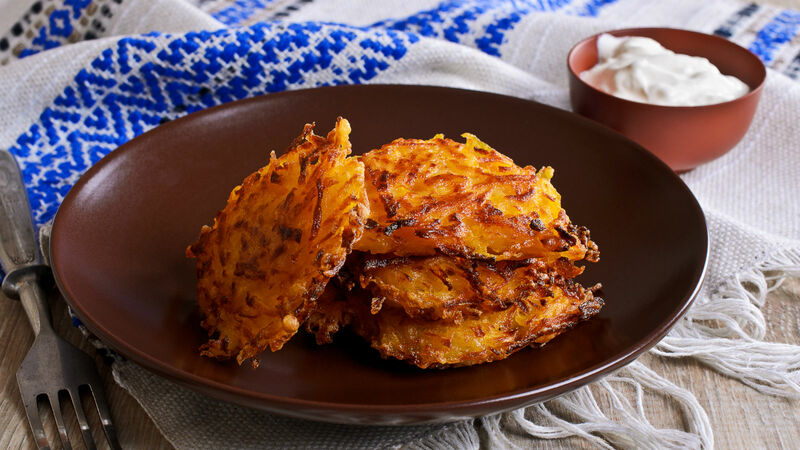 A latke is the starchy fritter of shredded potato and onion you may know from New York-style deli menus (and of course competitive dreidel events), and is most widely associated with the celebration of Hanukkah. Pronounced either lot-key or lot-kuh, the origin of the word is Yiddish and means something along the lines of “little oily thing.” Although it’s etymological and ritualistic narrative is rather long and windy, taking one through Russia, Greece, and Italy (there’s even cheese involved in its story), we can thank Ashkenazi Jews (Jews from Central and Eastern Europe) in particular for the latke we know today. 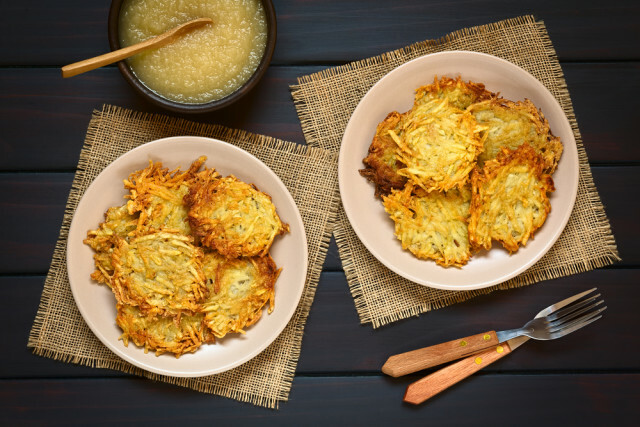 In addition to acting as a vehicle for religion-sponsored oil intake on Hanukkah, latkes have become a canvas for a variety of toppings, most commonly applesauce or sour cream, or both (Jews really like options). 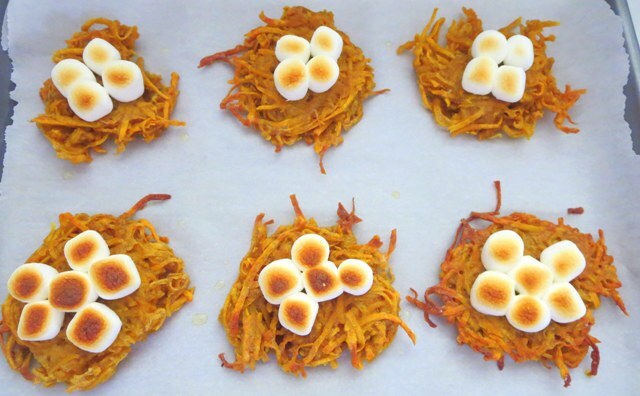 But almost anything you can think of has probably been paired with a latke; and sometimes even the traditional potato is swapped for another vegetable altogether. I wouldn’t go as far as to say I’ve never had a bad latke (don’t be ridiculous, it’s not pizza), but at least the premise of hot fried starch is always attractive. It’s definitely a good way to add a few pounds in winter and save money on an expensive thick coat. Pronounced: DRAY-dul, Origin: Yiddish, a spinning top, with four sides, each marked with a different Hebrew letter (nun, gimel, hay and shin), it is played with on Hanukkah. What can a Michelin Star chef teach a nice Jewish girl about frying latkes? A lot!